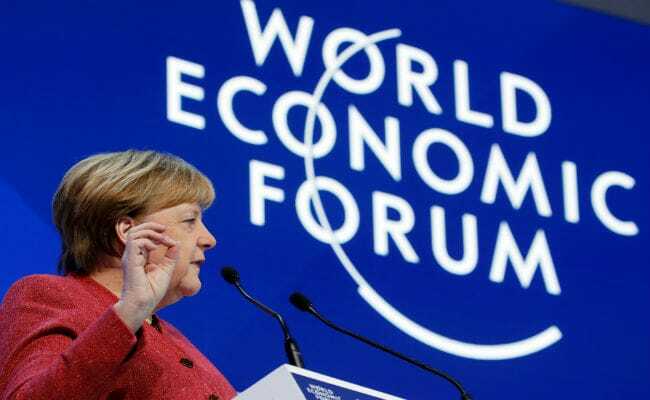 At the World Economic Forum Annual Meeting in Davos, Angela Merkel said there are a number of disturbances around the world and the IMF has painted a rather gloomy picture of the global economy. Angela Merkel said there is a wake up call and we need to find out how to move forward. German Chancellor Angela Merkel on Wednesday said countries like India and China have begun affecting the world economy much more today and that needs to be taken into account for having a relook at the global trade and financial systems.